A video of the dancing girls of the kindergarten is on You Tube. It is the first video made with the camera, that we we were able to buy thanks to our Dutch donors. It was filmed by Abed El Majid (Grade 8) and Jibreel (Grade 6). WALID GOT THE 8th POSITION. 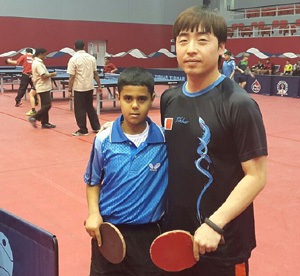 With great excitement Jeel al Amal received the invitation of the Bahrain league for Table Tennis to participate in the “Amal training campus” in Bahrain for the period of 26-1 until 7-2, 2015. 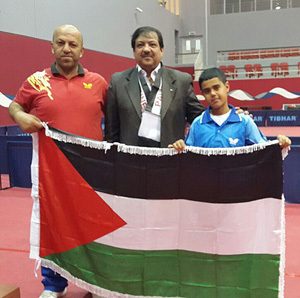 Walid Shejaieh, 13 years old, had been chosen to participate representing Palestine as he has won the table tennis championship of the West Bank for juniors. 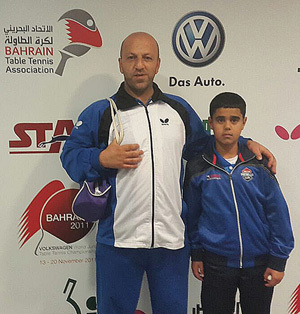 Trainer Majdi Selwadi was to accompany Walid in his journey. As the invitation was set on a short notice we had to arrange the trip as quickly as possible and apply for the visa and other requirements. Finally all was set and the day of the trip had arrived. 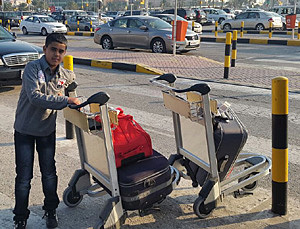 Walid’s excitement was paramount as it was his first trip abroad and also his first time experience in an aeroplane. Although he did not know what to expect he was thrilled to make the trip. 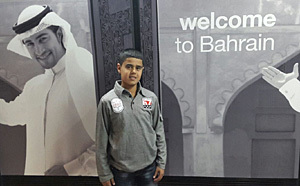 With much anticipation and also some fear of the unknown Walid set foot in Bahrain. The program included intensive training the whole day long. Trainers from Korea and Canada worked with the participants intensively. 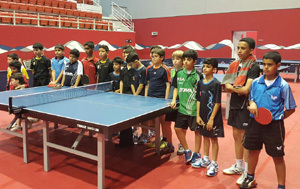 And on the last three days competitions were held among all participants. 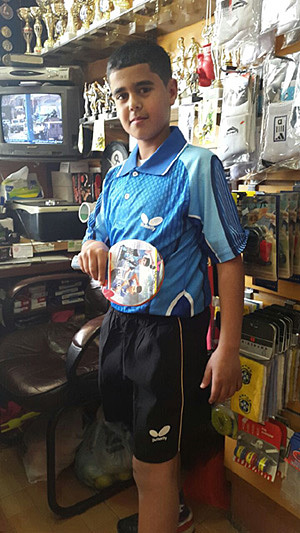 It was quite a challenge for Walid to compete with children of his age. Walid made lifetime friends and connected with his new friends. The end result was that Walid got the 8th position from twenty two Arab countries, which is quiet an achievement looking at the minimal resources that we have in terms of training and the modest equipment that is available. 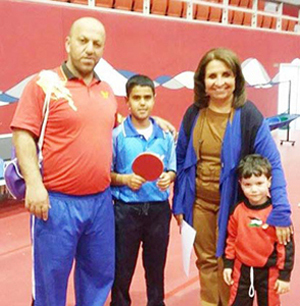 Walid was honoured by princess Sheikha Hayat of Bahrain, President of Bahrain Union for Table Tennis. Their picture appeared in Al Quds Newspapers under the headlines “Princess Hayat checking on the Palestinian Delegation”. The Palestinian Ambassador in Bahrain Khaled Aref extended a special invitation and invited Majdi and Walid for dinner. 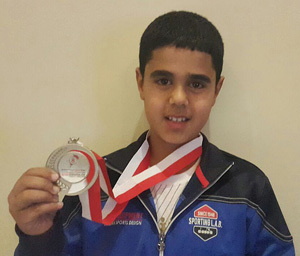 It has been a fantastic experience for Walid which I think he will not forget for the rest of his life. He came back to Jeel with a totally different attitude, one of pride and confidence and he talks non stop about what he has seen and experienced.